This set of offensive crayons really lives up to his name. 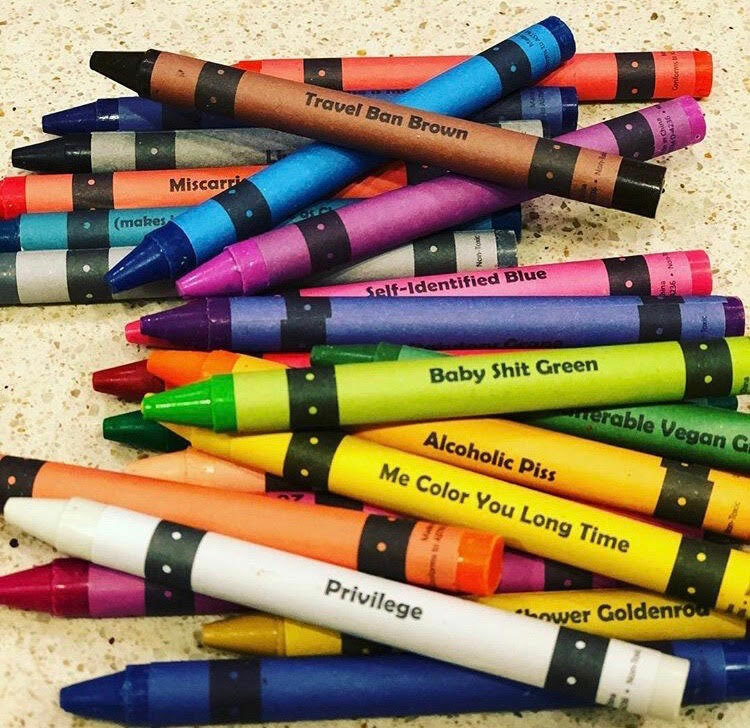 Instead of your normal red, green or blue you’ll get special colors like Miscarriage Maroon, Travel Ban Brown, Self Identified Blue (pink), “Privilege” white, Insufferable Vegan Green, Your Parents’ Divorce Was Your Fault Peach and other terrible crayon names. 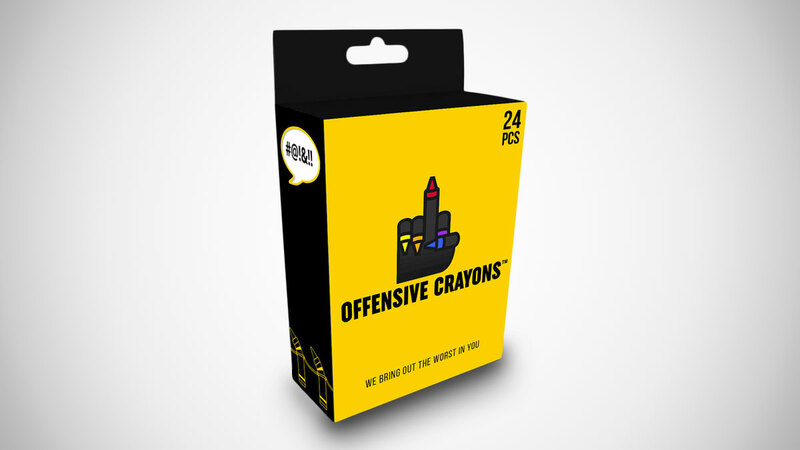 Besides the offensive labels, rest assured that these crayons color just like your favorite set of crayons. It’s great to pair up with your adult coloring book. Successfully backed on Kickstarter, but pulled from Amazon (for being offensive? ), you’re still able to buy these from the official website and have it shipped worldwide via the link below.